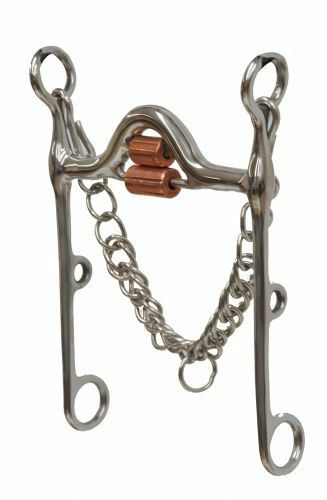 Stainless steel shank bit with double copper roller medium port mouth. 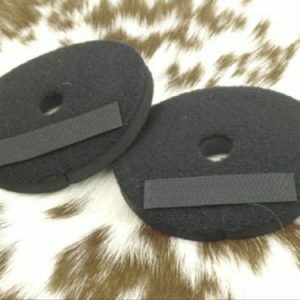 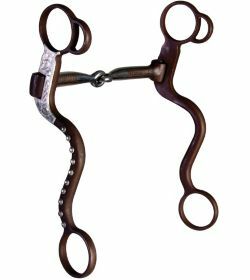 8.25″ cheeks with look bottom rings and a 2″ medium port on a 5″ with a copper rollers. 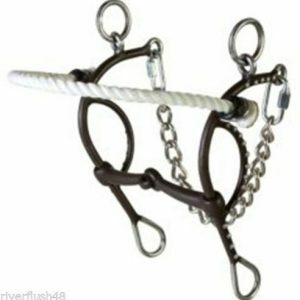 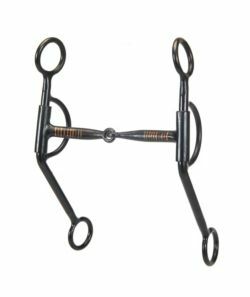 Western BS Copper Inlay Snaffle Double Rein Bit Black Steel.